ICICI Lombard GIC Ltd. is one of the leading private sector general insurance companies in India. At ICICI Lombard, customer centricity is the cornerstone of their culture. Customers face an untoward incident due to the unpredictability of nature, suffer losses due to accidents or face medical challenges, ICICI Lombard is committed to be at their side and serve them in their hard times. ICICI Lombard had renovated their Headquarters and along with the renovation they launched an Ozone mobile app to handle all the internal tasks for their employees. The 4 floors of the building had specific areas like a business center, café, open pantry, training room, etc. that had a specific design and theme to it. ICICI Lombard wanted a feature within the app that would inform employees about the design and theme chosen for that particular area. GoPhygital provided ICICI Lombard with an IoT solution using beacons to deliver this information through notifications. 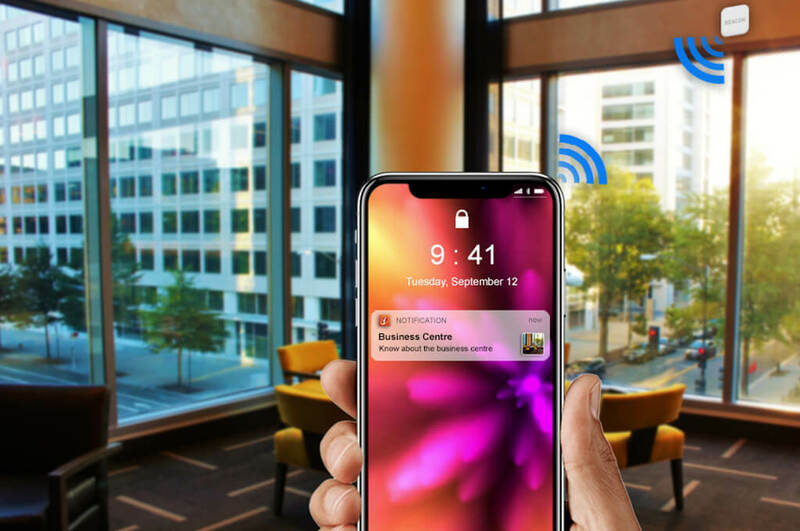 Each of the 20 areas had a beacon assigned to it, and once the employee had the app installed on their smartphone (with their Bluetooth activated) and were within the proximity of the beacon, a notification would pop-up on their screen. By tapping on the notification, a specific page within the company app would launch to display relevant information about the area they are standing in front of. This IoT solution (software) was delivered as a plug-in for the employee mobile app. The innovative approach provided by GoPhygital to deliver relevant information using beacons received numerous applauds from ICICI Lombard’s management & colleagues.